What size PC is needed to run CSS? As with most PC performance questions, the answer is it depends. Here is a screen shot. This setup has two radios, one running CW and the other SSB. The CPU requirement for WriteLog’s SDR support is significant and is in use in this screen. Each radio in the simulation has an SDR attached and displayed on its respective Band Map. 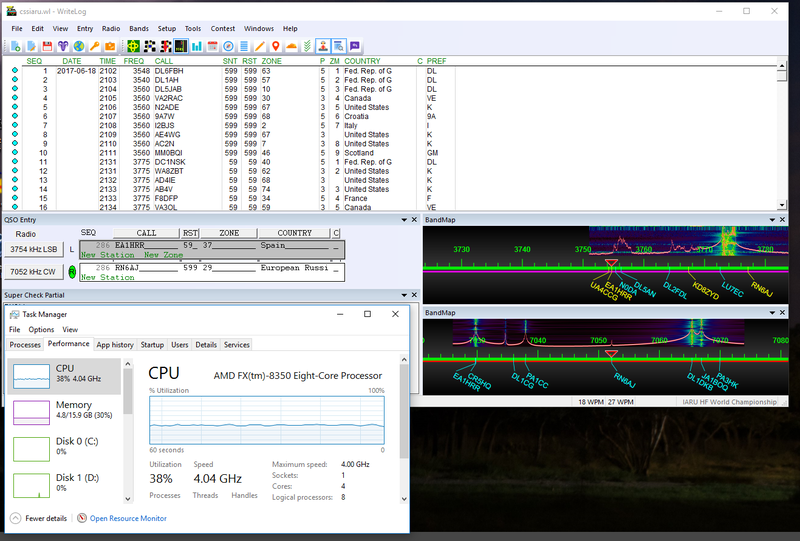 The CPU requirement on this AMD FX-8350 8-core processor is about 40% of the total CPU power available.